Judi is a consultant psychosexual and relationship psychotherapist. She has over 30 years of clinical, teaching, mentoring and supervisory experience..
Judi was the first person in the UK to be awarded an MSc in Psychosexual and Relationship Therapy. She is also one of the few people in the UK to hold the European Certificate in Psychotherapy. Judi holds COSRT/UKCP accreditation alongside COSRT supervisor recognition. Judi is a Fellow of COSRT and was awarded Fellowship status with the National Counselling Society (NCS) in 2014. Judi has co-founded several successful organisations and training programmes. 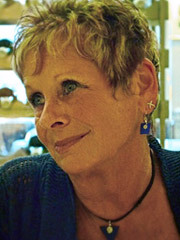 Judi leads a busy private practice in London.